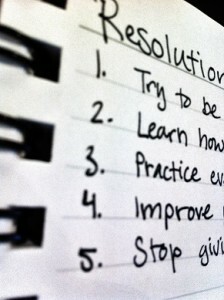 One tip for accomplishing your New Year’s resolutions: Be specific! Don’t just say you’ll learn to cook, specify a quantifiable goal like cook one new recipe each week. Not only does this help you track your success, but it can help hold you accountable for your progress. You can tell yourself that making the fancy blue box mac n cheese counts as learning to cook (denial), but you can’t fudge the numbers if you skip a week. We’ve got the perfect recipe to help you accomplish this particular goal. Like your neighbor’s pit bull, our sweet and spicy braised short ribs might seem intimidating, but you’ll quickly find just how cuddly manageable they can be! And we’re sure this will give you to confidence you need to tackle other seemingly tricky recipes. Side Note: This recipe also makes for a killer dinner party menu item. Make them in advance to wow your guests without being trapped in the kitchen all night! Ribs: Heat canola and butter in a large sauté pan over medium heat. Add the onions and cook until soft and starting to caramelize, about 15 minutes. Transfer onions to a bowl and reserve cooking pan. Mix together flour, salt and pepper in a medium bowl. Dip beef short ribs in the flour mixture and shake off any excess. Reheat the reserved onion sauté pan over medium heat (adding more oil if the pan is really dry). Sear the ribs on all sides until golden brown. Transfer short ribs to a roasting pan as they are done. Sprinkle cooked onions over ribs. Sauce: In a small saucepan over medium heat, add ketchup, water, white wine vinegar, soy sauce, brown sugar, Worcestershire, chipotles and adobo, demi-glace and kosher salt. Whisk while cooking over medium heat until the sugar is dissolved. Pour sauce over the rib/onion mixture in the roasting pan. Cover the ribs tightly with parchment then cover the pan with foil. Cook at 300 for 4 to 4 1/2 hours until the meat is literally falling off the bone. Remove the meat from the sauce and let the sauce chill so that the fat congeals (will take a few hours). Remove the fat from the sauce using a skimmer. Pour the sauce over the ribs and reheat the ribs at 200 ºF for 30 minutes. Serve over mashed potatoes or buttered papardelle.